Lots of people are talking about CI/CD on the Internet. I wish I could learn the details what they really enforce? Quite disappointed, mostly I only see concepts, principles, and guidelines. Yes, I know it depends on a lot of things. After supporting several projects, I DO believe there are some useful first-hand experience which are general and not that well-known. 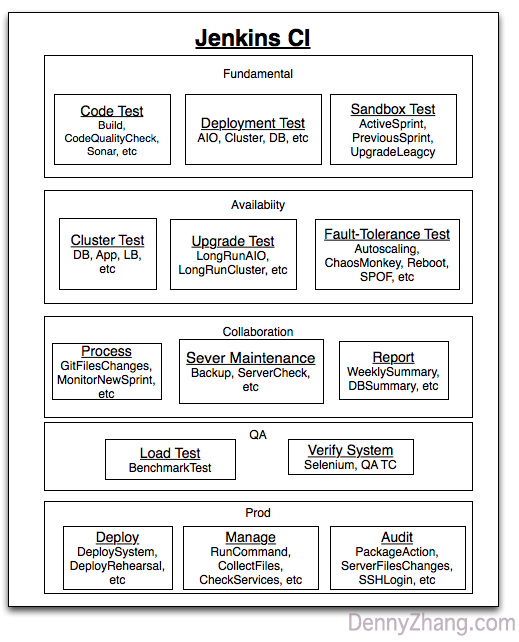 Enclosed is a Demo Jenkins. Please contact me via email (contact[@]dennyzhang.com), in order to get the credential. Don’t worry, it’s totally free. I just want to reduce the risk of security issues. Even better, if you can subscribe my mailing list. You can get the credential from the mails easily. Certainly you can subscribe later, or unsubscribe any time. Raise questions in below, if some are confuses you. Oh, yes. Definitely share your experience with us. The demo Jenkins can easily setup in your envs via this Docker Image. 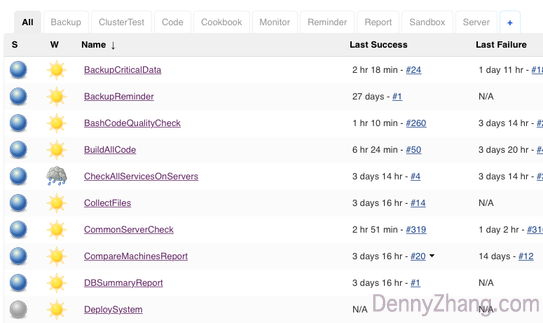 Here are highlight for key Jenkins Jobs. MonitorServerFileChanges: Be Alerted For Critical Files Changes In Prod Env. OSPackageActionReport: List recent actions of packages installation or removal. CompareMachinesReport: Compare Difference Of Two Envs. ListHTTPTraffic: Monitor Outbound Traffic In Deployment. DockerDeploySandbox*: Easy and Reliable Sandbox Setup Matters. BashCodeQualityCheck: Code Check For Shell Scripts. RubyCodeQualityCheck Improve your ruby code quality by rubocop. RunCommandOnServers: Enable people to run shell commands from Jenkins.